via The Universe of Grace – four new hymn texts by Rob Tivoli Atkins. One LM (to O WALY WALY), one in 10s., with PANTYFEDWEN as the first suggestion, and two to LONDONDERRY AIR. Christian Life Hymnal, published in 2006 by Hendrickson Worship, a division of Hendrickson Publishers, is one of my favorite hymnals. I could be quite happy for months, stranded on a proverbial desert island, if I had Worship in Song: A Friends Hymnal, Hymns of Truth and Light, ADORU: Ekumena Diserva Libro, and the Christian Life Hymnal (CLH2006) along to keep me company. A few (but very few) things seem out of character, e.g. “Ride on, ride on in majesty” is set to WINCHESTER NEW, where I would have predicted ST. DROSTANE, and both “There is a green hill far away” and “Majestic sweetness sits enthroned” are set to HORSLEY, where I would expect GREEN HILL (Stebbins) for the former and ORTONVILLE for the latter. What’s missing? I’d have liked to see ABBOT’S LEIGH as a second tune for “Glorious things of thee are spoken”, but I suppose it would have involved royalties, driving up the cost of the book, and BROTHER JAMES’ AIR for “The Lord’s my shepherd”. And rather than setting both “is risen today” hymns to EASTER HYMN (in different keys), I’d have liked to see one maybe to an alternative tune (and I don’t mean LLANFAIR, I’m thinking more of ASCENSION (Monk) or maybe even LAUS SEMPITERNA. I miss LEOMINSTER and GWALCHMAI and “My Anchor Holds” and (©!) “Precious Lord, take my hand”. I think “Soldiers of Christ, arise” could have used a second tune; I’d gladly sacrifice “Precious Mem’ries” to make room for it! 😉 “Will the circle be unbroken” is given as a refrain only. CLH2006 does have a section of copyrighted praise songs (mostly from #66 to #71), a few Getty hymns, and some others, including several by editor Eric Wyse and/or his wife, Dawn Rodgers, and of course “How Great Thou Art” and “Great Is Thy Faithfulness”. Fred Pratt Green is represented by “When in our music God is glorified”, but otherwise the “hymnic explosion” of the late twentieth century is completely absent. Not a single item by Brian Wren, Fred Kaan, Ruth Duck, Sydney Carter, Thomas Troeger, Marty Haugen, Sylvia Dunstan, Shirley Erena Murray, Jeffrey Rowthorn, Timothy Dudley-Smith, etc., etc. The only Catholic piece that’s more recent than Faber seems to be “On Eagle’s Wings”; I would have expected also to find “I, the Lord of sea and sky” and probably “We are one in the Spirit”. Almost nothing from Africa, Asia, or Indigenous America. No Spanish or Korean texts (not even in translation); there is a tiny amount of Latin and transliterated Greek. These are just a few of the reasons why, on my desert island, I’d need at least 2 or 3 other hymnals in English. Although in some cases there are commendably many stanzas (the full 7 for “O come, O come, Emmanuel”, and 7 as well, of a possible 9, for “Crown Him with many crowns”; 6 for “O come, all ye faithful”, for example), in other cases there are too few, e.g. only four each for “God of grace, and God of glory” and “It came upon the midnight clear”. “Mine eyes have seen the glory” has the “He is coming” verse, but lacks “the Hero born of Woman”. And so on. Anyhow, I recommend it for hymn-sings of a nostalgic bent. I just noticed a couple of days ago that 讃美歌 21 contains neither a translation of “Joyful, joyful, we adore thee” nor any other hymn set to HYMN TO JOY, nor a translation of “Angels, from the realms of glory” nor any other hymn set to REGENT SQUARE. Rather odd, it seems to me. ¿What Fanny Crosby hymn is this? There is a Spanish hymn, “Lejos de mi Padre Dios”, which is sung to the W. H. Doane tune NEAR THE CROSS. In Himnario Bautista (El Paso: Casa Bautista de Publicaciones, 1978; a generally well-documented hymnal) it is clearly stated that it is by Fanny Crosby, 1869, translated by one Tomás García (who died in 1906). Now, 1869 is the year in which “Jesus, keep me near the cross” came out, so one might think that this is a Spanish version of that well-known Crosby hymn. But the text is completely unlike “Near the Cross”, indeed, nowhere in its three stanzas nor in its refrain does it even *mention* “la cruz”. Anybody know what, if any, Crosby hymn it is a translation of, or is the Crosby ascription a mistaken assumption based on the tune? Fwiw, the generally much less well documented Assembly of God Spanish hymnal “Himnos de Gloria: Cantos de triunfo” has the same hymn to the same tune, but simply ascribes the words to “Autor Desconocido”. I finally located the Howard Thurman poem that Jim Strathdee’s 1969 “I Am the Light of the World” is based on. Hope somebody somewhere sings Strathdee this Advent, or reads Thurman’s litany. Presumably it is technically under copyright, but I can’t find the original date (obviously pre-1969). It is in Thurman’s The Mood of Christmas, which is © 1973 by Howard Thurman, but doesn’t give the history. James Remington Fairlamb *1838 †1908 An AGO Founder, his tune FAITH is given in the 1917 Lutheran hymnal Common Service Book as an alternative to OLIVET for My faith looks up to Thee. The AGO Founders Hymnal gives another tune of his, VICARIA, as a setting for When I survey the wondrous cross. John Frederick Wolle, *1863 †1933 (See bio at hymnary.org) His tune ADVENT is the second most-used setting for the Horn/(Roh)/Winkworth text Once He came in blessing. Frank Linwood Sealy *1858 †1938 An AGO Founder, he was Music Editor of Common Praise, a hymnal issued in 1913 by Fifth Avenue Presbyterian Church, New York. In the AGO Founders Hymnal, his eponymous tune (SEALY) is given with the Bonar text Thy Way, Not Mine, O Lord. AACH1957: All-American Church Hymnal, 11th ed. This is a rather strange hymnal, I think. It claims to be the 11th “edition”, but I wonder if they just mean “printing”. There’s nothing particularly outstanding about it, so my comments will mostly be in the way of picking nits, or on the positive side, mentioning a few items this one carries that most don’t and that I wish more did. Negatives: The print is small and a bit bleary, probably from having been photoreprinted 11 times. The publisher, Benson, is one I generally admire more when the notes are in seven distinct shapes than when, as here, they are all roundish. The contents are not “All-American” (which to me would mean avoiding Watts and Wesley and Luther as assiduously as possible), though they include all four stanzas of “The Star-Spangled Banner”! 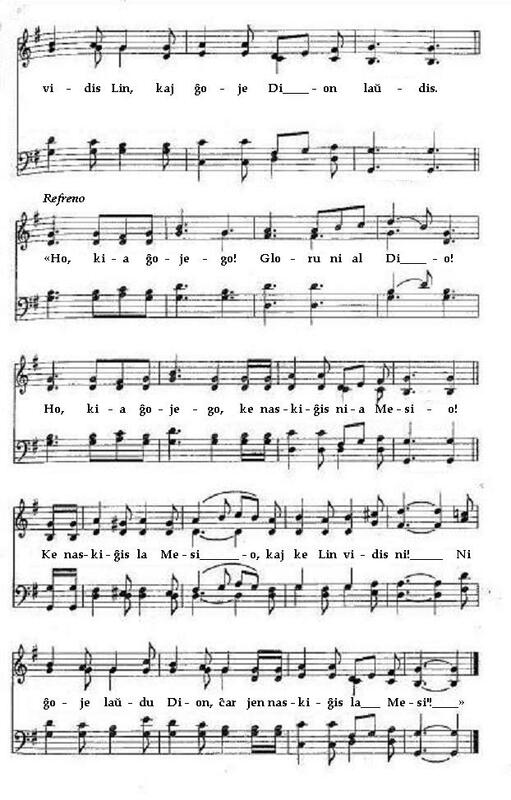 The copyright date is given as 1957, but very few of the hymns are more recent than the 1930s. There’s no CWM RHONDDA (“Guide me, O Thou great Jehovah” is set to ZION, and “God of grace and God of glory”). No “How great Thou art” even. 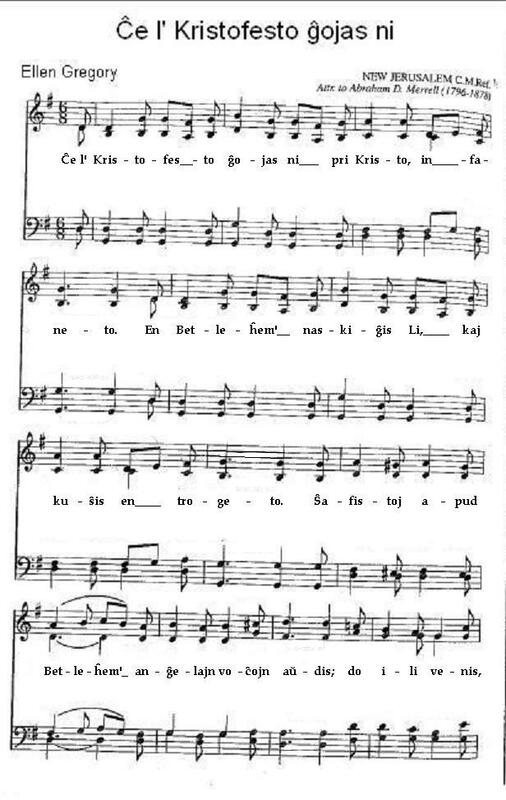 The last two musical numbers in the book are settings of the “Gloria Patri”: Meineke, which is labeled GLORIA PATRI First setting, and then the “Old Scottish Chant”, which is labeled GLORIA PATRI Third setting. So what happened to Second setting, presumably (but not certainly) Greatorex? It’s got the lamest Christmas section I’ve seen in years. And cultural diversity it ain’t got much of. Now the good points: as is almost always the case, this hymnal has some songs I really like and rarely see. #261 “Sail On!” (Gabriel) I’ve rarely seen before, and I’m glad to have it come up when I’m looking for maritime hymnody. #239 “Hallelujah, we shall rise“; #206 “Angel Band“; #349 “Ye Christian Heralds“; #301 “Dare to Be a Daniel“; #281 “Stranger of Galilee“… and y’know what? I like STATE STREET, which has almost disappeared from view, and I also like Samuel F. Smith’s baptismal numbers, “Down to the Sacred Wave“, and “With willing hearts we tread“, which AACH1957 conflates, and which STATE STREET carries well. There are others. But boy am I glad this is not the only hymnal I own! Al Dio sonu nova kant’! Hymnal for Church and Home. 1st ed. I have been listing and working on my hymnal collection in the context of hymnary.org’s massive database, which among other things contains the entire database of the DNAH (or DiNAH) . Thus far I have listed well over 150 titles in what they call “My Hymnals”. “My Hymnals” @ Hymnary.org is set up so that only I can see it, so I have put a PDF of it as of a recent date on my Google hymn site, here. Now I am proposing to post occasional reviews of items on the list. If I do one a week (which I think is probably overly optimistic) the list as it currently stands will keep me supplied with topics for over three years. I propose to start at the top and work down. Some of the hymnals are very interesting, and may provide material for more than one post, while in other cases (including the first, the All-American Church Hymnal) I may find it hard to come up with more than a sentence or two to say that I or anyone else would find worth the reading. So now, give me a week or so to look through the “AACH1957” (to use the Hymnary identifier), and I’ll try to say something worthwhile about it.